I’ve gone back and forth on whether or not to write a post on the subject of what husbands can do to tell their wives they love her without saying a word. After reading 13 Things a Wife Can Do To Tell Your Husband You Love Him Without Saying a Word, many women and some men have repeatedly requested that I write a similar post for husbands. 1. Biblically speaking, it is not a woman’s place to teach or usurp authority over a man concerning God’s commands. God desires that another man stands in that role. 2. I did not want wives to use this post as a tool to manipulate their husbands into being the man they want him to be. So after prayerful consideration and counsel from my husband, he came up with this list to be used by husbands as a way to encourage them to walk in their role as leaders of their families and lovers of their wives. 1. Be obedient to God in your calling as a Biblical wife. 2. Pray for and with your husband as much as possible (everyday). 3. Encourage him in the Lord and love him gracefully, mercifully and with long-suffering as he grows in maturity with God. 1 – Buy her something she likes. 2 – Help her with household chores from time to time. 5 – When you get home from work, do your best to acknowledge her in some way. For example: a kiss or hug. 6 – Be a good provider. Do what you can make her feel financially secure. This is especially true for women who have given up careers to be a full-time wife and mother. 7 – Make time to listen to her talk. This is especially true if she is a stay at home mom, Homeschool mom or mom to young kids. It can become isolating and lonely at times because so much of our time is devoted to caring for the family that we often allow our fellowship with friends to fall by the wayside. 8 – Be sensitive to her emotions. Women can get emotional at times, which often shows up as anxiety, stress, depression, etc. Whenever this is the case simply refer back to tips 1 through 7. 9 – Keep her car washed and filled with gas. 10 – Pray for her asking God to help her be the wife and mother He desires her to be. 11 – Be patient with her as she learns how to be the wife in Proverbs 31. Acknowledge when you see that she is living up to the verses she is studying. 12 – Step in and make sure that she has a healthy relationship with your mother. This can be one of the hardest areas for us as wives when we feel dishonored by your mom. Do what you can to help them love one another. 13 – Encourage her to do things she likes by giving her time, even if it makes no sense to you. If she likes blogging, spending time on Pinterest or knitting. Listen when she shares something that excites her. An I truly love #13. That would go a long way with me 🙂 Blessings! I feel blessed that my partner has most of this in the bag already! I think that just cooking dinner for the wife is love in itself. Great post! It is so important that we as wives respect the leadership of our husbands. We are their helpmate not their head. I love the way you remind us that we are to be our husbands encourager & supporter. This was a really good article. I think many husband want to treat their wives well and show love, but they do not know how. This list is great because it shows things that can be done. Thanks for sharing some really good ideas. Thank you so much for your comment. What you wrote was exactly what my husband and I discussed before we decided to write this post. It is true that it was a greatly requested topic but as a disciple of God I couldn’t have made the decision to write it as I do not believe it was my place to tell disciple a husband/man. I have amended my post to give a little background on how the post was created and for what purpose. Thanks so much for stepping out there and challenging the readers and providing me a opening to give some back story behind the origin and motive behind today’s article. 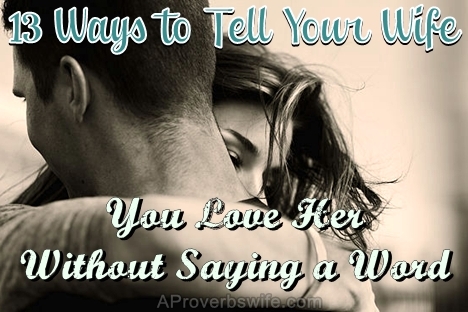 I know you have been asked for this post over and over after you posted the ways to show your husband you love him without saying a word. What I find troubling is that you were asked for this post by women. Your target audience is women. Sure a few men may read your blog but I’m sure it’s not many. I’m just afraid women are going to use this in a selfish way to tell their husbands what they are doing wrong. I just pray that the women that read this realize that their husbands do these things and that it can be used to build up their marriages rather than a way to unintentionally tear them down. I love your blog and Facebook posts. They are uplifting and encouraging in my walk. @Eliza, I’m a man and 3 of my male coworkers have read it as well. We’re here. I’m sure your right in the prosumption that most readers are not men though.